Bedbugs are true bugs (Order: Hemiptera), belonging to the family Cimicidae. Like all other members of this family they feed solely on blood, requiring a meal from one of a range of vertebrate hosts in order to develop between instars (life stages) and to reproduce. Development time is highly influenced by temperature. Below 13°C all development ceases, females stop laying and any eggs that have been laid do not hatch. Above 36°C, damage to the bacterial symbionts, which help with the synthesis of micronutrients, results in reduced fecundity and survival. Between these two extremes development time decreases with increasing temperature (see below). 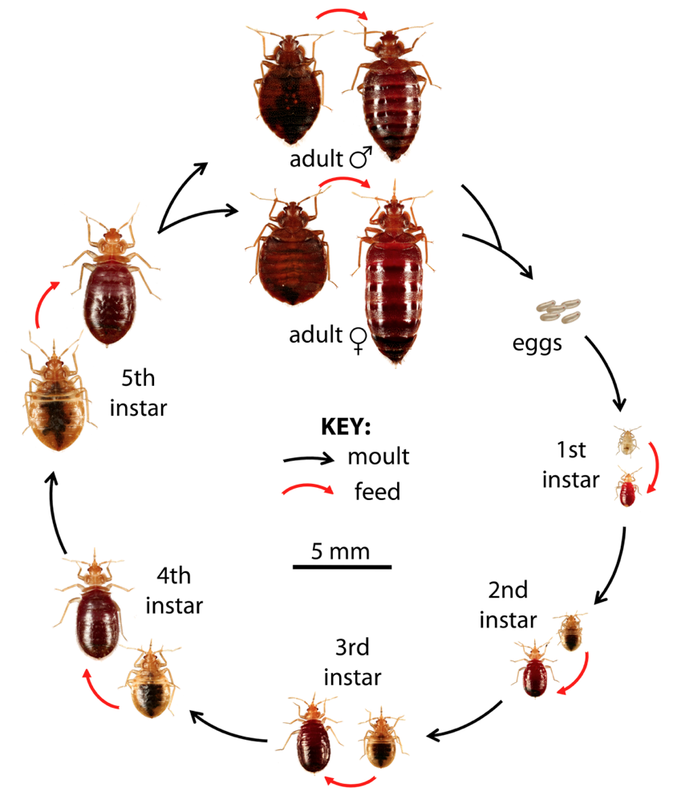 Female bedbugs need to mate at least once every 5-6 weeks to maintain full fertility, although natural mating rates are believed to be very much higher. 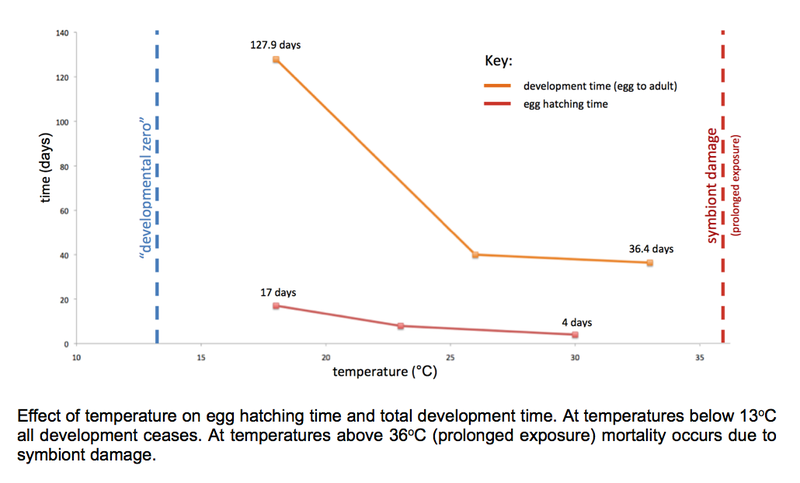 The number of eggs a female lays per week is highly influenced by temperature and individual variation. In a warm room, a single female might be expected to lay 15-25 eggs per week, and up to 500 throughout her life, as long as she has continuous access to food and is regularly mated.